Here is how our Timber Bridges look when installed! This is in Abbotsford, BC at Riverside Equipment’s yard. 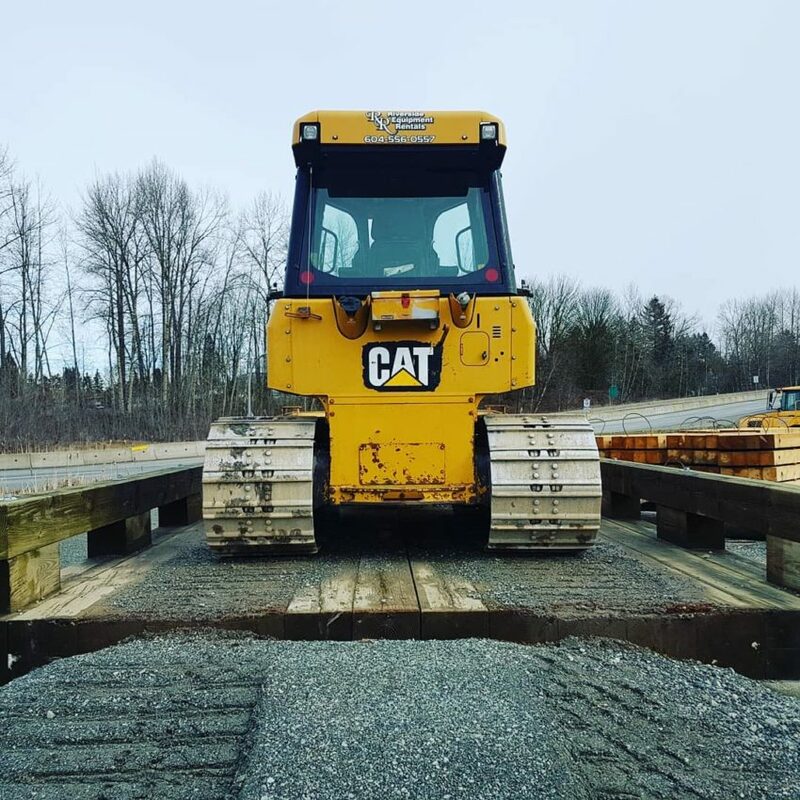 This particular bridge is 20′ long and is delivered in two sections. It can be quickly deployed to cross streams or drainage ditches into a property. This bridge can handle over 90,000 kgs GVW (BCFSL100). 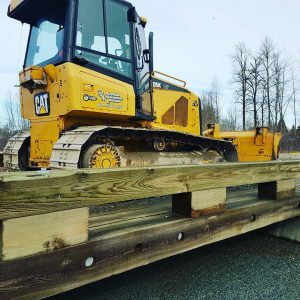 When installed, the bridges are 14′ wide overall with a driving surface of 12’4″ wide and 20′ long, generally this would be for an 18′ open span. Customers have used step lock blocks, or traditional lock blocks or timber sills for abutments. For more information on the Timber Bridges we manufacture, click here.